Thanks to its situation and the surface of its ground (800 M2) this family home ensures an absolute tranquility. It is ideal for holidays with family or friends under the sun of Ibiza. Room, Ground level. Bathroom ensuite, private. 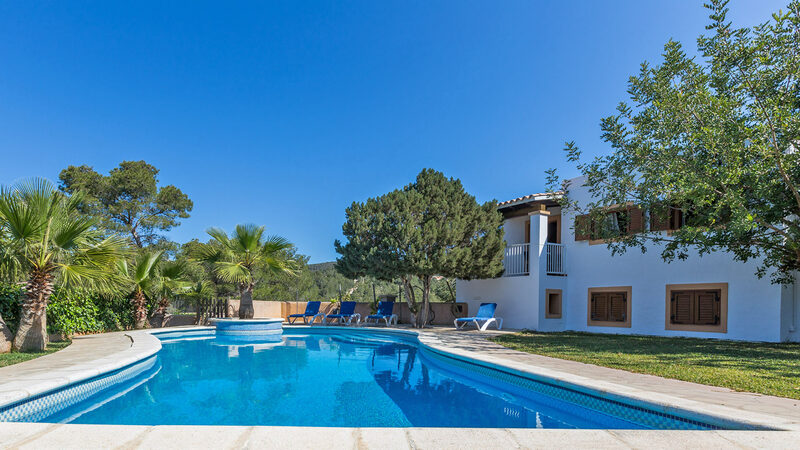 The villa is located in the countryside 3 km from the beach of Cala Vadella, just 5 minutes drive from the beaches of Cala Vadella, Cala Carbó and Cala D'Hort. The supermarket is 2 minutes away. The village of San José is located 10 minutes and Ibiza town 25 km.